Are you bored of your gaming console, and want to switch to Nintendo Switch? Or have you been eyeing that premium Harrods bag, or the latest collection from Saint Laurent or beauty products from Glossier? One way is to buy these global brands, not available in India, on your next trip abroad, the other is to hand a list to your NRI relatives. If you can’t wait that long, there’s always the option of shopping online from global e-commerce websites that ship internationally. Of course, there’s a cost attached to it, which many Indian shoppers don’t seem to mind paying, given the quality and choice. According to a report published by logistics firm DHL, The 21st century spice trade: A guide to the cross-border e-commerce opportunity, which quotes the Google Consumer Barometer, what drives consumers in less mature e-commerce markets like India to shop cross-border is better quality, broader range and trustworthiness. 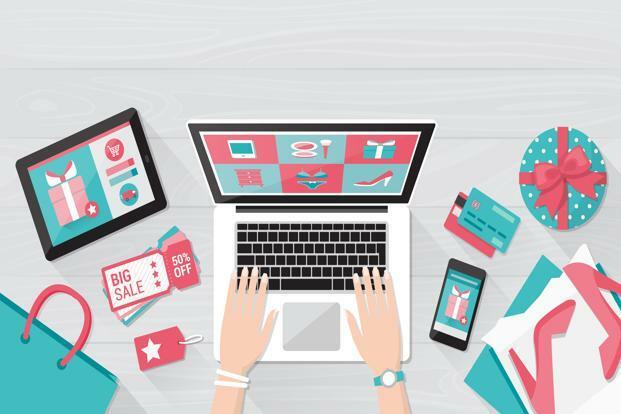 According to the report, 42% of surveyed Indian respondents said they shop from websites abroad due to better quality of products, while 37% liked the available offers. Electronic items (55%) and fashion apparels (45%) are among top purchases by Indian consumers, followed by beauty products and cosmetics (26%) and toys (20%). But it may not be as simple to shop from a global e-commerce site as it is from familiar online retail firms like Flipkart or Amazon India—there are charges to take care of and payment and shipping options to consider. We hand-hold you through the hiccups and tell you smart ways to reduce your costs. Shipping charges: While we are used to one-day free delivery option from most domestic e-commerce sites, ordering products from an international website typically attracts shipping charges. There are various factors that determine how costly the shipping is going to be. “Shipping charges are calculated based on factors like weight, dimension of the product, origin-destination, duties and taxes, insurance as applicable, and the service type (express takes 2-3 days, economy takes 5-15 days and postal takes 15-30 days),” said R.S. Subramanian, country manager, DHL Express India. Most global e-commerce websites have preferential rate agreements with a particular courier company and the same is displayed upfront at checkout. Customs duty: All products, if imported for personal purposes, attract basic customs duty of 10%. On top of that, you also have to pay goods and services tax (GST) depending on the slab rate fixed by the government. Check the import customs tariff of various commodities here. While some websites might levy local taxes to be paid in your country in advance, some collect the customs duty upon delivery. “Basic customs duty is 10% on majority of the products. It’s levied on the CIF (cost, insurance and freight) value. If you are purchasing something online, the CIF value will be mostly put up by the courier company; their cost generally includes insurance, too,” said Bipin Sapra, tax partner, EY. However, the customs officer takes into account the “assessable value” when calculating the duty. “Generally, the assessable value and CIF value are the same and the customs duty is imposed on such value. Assessable value is self-assessed by the importer and is accepted by the customs officer. In case, such value is rejected by the customs officer, then the officer may determine the value as per applicable rules,” said Suresh Nandlal Rohira, partner, Grant Thornton India LLP. The CIF value may sometimes get rejected by the customs officer if she has any reason to believe that the product has been undervalued by the sender. “Online shoppers should take care that the products ordered online by them are imported through courier and used for personal purpose to avail the concessional rate of 10% basic custom duty,” added Rohira. Currency conversion: Websites usually list products in their local currency (say US dollar or British pound). The rupee is not one of the strongest currencies globally and hence conversion rates might spike up the charges. Most international websites only accept credit cards, payments via Paypal account or Amex cards. Domestic debit/credit cards that are not enabled for international transactions may also not work on international portals. However, debit cards of some banks might work for international transactions. So check with your bank if your debit card can be used to shop internationally. If not, ensure you either have a Paypal account or a Visa or Mastercard credit card. Compare prices with package forwarding sites: If you are shopping for multiple items, package forwarding websites like Borderlinx, Shipito, and Shop and Ship may help you save some money. Once you sign up, these sites will give you access to local warehouse addresses of different countries, for a fee. Just shop from any website and enter this local package forwarding address during checkout. After receiving the product from the e-commerce portal at their warehouse, they repackage and consolidate items into one package (in case of multiple items) and also help reduce the weight and size. They also work for those looking for brands that are shipped only domestically, say within the US. While they may work for multiple items and in a situation where the main website doesn’t ship to India, they can turn out to be expensive otherwise because they have steep shipping costs. So make use of these services only if you really need the product and are willing to pay a premium on it. Compare costs before going for it. Look for cheaper currency: You can also save at the time of currency conversion. You can get slight advantages by checking if the product is available on another country’s portal, say the US or Europe, where conversion rates might be slightly better. “Customers should do their research to not just see what the listed price is but also what the delivered price is going to be,” said Sapra. However, “customs duty would remain the same for that product regardless of the country (you order the product from),” said Rohira. Look for offers: One way to avoid the shipping charge is by shopping when the websites come up with offers of free international shipping during festive or sale seasons. Many sites also waive off the charges on a minimum order amount. 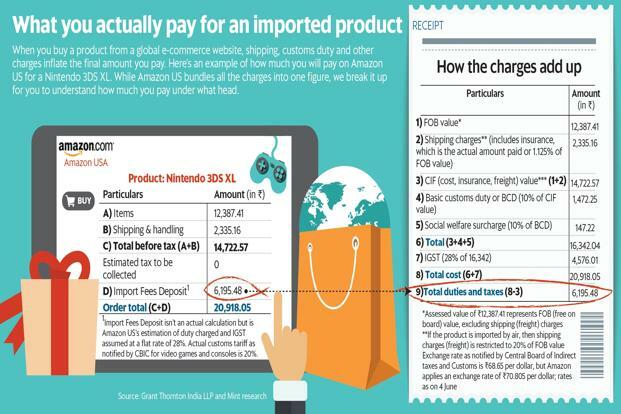 While Indian consumers are willing to pay extra if they can find quality products online, shipping charges and customs duty often make the products 40-50% more expensive than the listed price. So research well. Last but not the least, be careful of online fraud and only shop from reliable websites.